Seriously gorgeous! This need to be a canvas. Have a great week! w-o-w! when I visited it, it was a beautiful, sunny autumn day, I enjoyed a lot. but this, such a sunset... no comment! just gorgeous! Amazing color! I like the windmill silhouettes. waw, so beautiful. great composition and colours. This is a marvelous image! 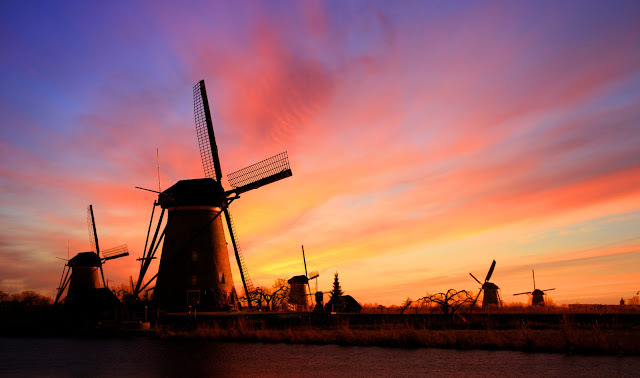 Wonderful photo...I remember Kinderdijk on a lovely sunny day, but this is magnificent.